Moving into a new house is one of the most exciting things for almost every one of us. This excitement sometimes gets to a level that we sometimes don’t care about the time and leave everything for the last day. It causes problems, as one day is not enough for all this stuff. It does not matter if you are renting the home or you have purchased, some things need to be done well in advance. There’s plenty of crucial work around the new and old house that you need to do. And you, of course, cannot skip anything. So, let us take charge of the project and waste no time in doing the things that hold the importance. To begin with, you need to know the size of every single place inside your new property. This one helps you understand as to at what position will you be able to keep the belongings. That is how you will directly get the things in place by just guiding the movers about it. If you don’t do this in the first place, you will need to check everything on your own. Never ignore the size of doors as well. If any of your objects get stuck in there, well, get ready to waste some and energy in improvising the plan right on the spot. Not an enticing prospect for sure. Inform the banks, post office, and other mailing companies about your move. Update your new housing address in their database a couple of days before your shift. Identity theft is a serious concern that you can’t take for granted. If any of your mails get in the wrong hand, you may lose your personal data. Don’t let any document authority go unaware of your change. Changing it may require a lot of time, but the consequences of not doing it are way more disastrous. People give their home keys to a lot of people like the maid, neighbors, and maybe a relative. You may have done this as well. But when it is about a new house, you need to secure your personal belongings from every unknown entity. The best way to do it is to change each and every lock at your new property. If you cannot get them changed, ask for all the keys from the former owner at least. You need to ensure your, and your loved ones’ peace of mind when moving out to a new house. Not to mention, security is the parameter, to begin with. To avoid any unnecessary repair or replacement costs, later on, you should clean the condenser coils of the refrigerator. The purpose of condenser coil in a fridge is to release the heat. Over the time, they get clogged with dust. It gradually adds up to the inefficiency of the object. This is because the compressor uses more energy to work. You must use a vacuum and a coil cleaning brush to clean those coils at the bottom of the rear of the fridge. If you don’t do this, you’ll either have to get the condenser repaired or even replaced. The best time to replace the old wiring network and electrical outlets at a place is when it is empty. This is because the electrician can work at any position without worrying about the objects placed nearby. Transfer the internet connection to the new property a couple of days before moving. Doing this in advance will ease the burden for the future. There are chances that the previous owner or tenant has rubbed the floor, but you should clean it by yourself. And the same way, clean your older house as well. You might find something important lying in a hidden corner maybe. Also, if there were pets in your new house, your pet will undoubtedly smell it. Pets generally have territory issues among themselves. A clean place is where they can live more comfortably. And there’s no doubt about the fact that you need to plan everything for everyone, even if he is your furry buddy. When it comes to packing, don’t pack randomly. Let us face the fact that you will not be able to unbox everything on the first day itself. Also, unorganized boxes will creep you out when you finally open them. Packing a first night box with every basic thing in it is the key to move into a new house successfully. For every room, pack a different box. It will make it more comfortable for you to find everything without any problem. Simply put, there’s no need to clutter up once you have decluttered it all in the first place. Meet both the new and the old neighbors and let them know about your moving date. The need to stay in touch with old ones is because they can get the mails to you if in case, you don’t get them to your new residence in the first place. Also, their vehicles can obstruct your walkways. So, it is better to post them about the day you will be leaving so they take care of it. The necessity to meet the new ones before moving to your new house is that you can get to know the place much better. It is indeed vital to be aware of the markets, doctors, and schools in the new area. When packing to move, make sure you have easy access to every important thing. And the only way to do this is to pack a different box which has the first night items in it. It can be food, beverage, tools, and clothes for the first day. You have to keep all those that you think are needed to survive the first night in a box. Then from the next day, you can begin to unpack and organize the entire stuff. This way, you’ll save a lot of time for yourself. Diseases or any other infections don’t knock on the door before they arrive. They surprise us every single time. The problem, however, is not the problem; it is the lack of a solution. It is better to find a reliable physician at the new place before moving there. After all, if something happens to someone there, you will not have to waste your time to find a doctor there. You can straightaway fix an appointment with that doctor at any available time. If you take care of the tips that are mentioned here in this post, you will be able to move to your place more comfortably. Once everything is complete, relax and enjoy the time with your family at the place you always wanted to be. After all, purchasing a property is once in a lifetime task. So, be careful with what you do. One single mistake can cause a lot of issues in the long run. 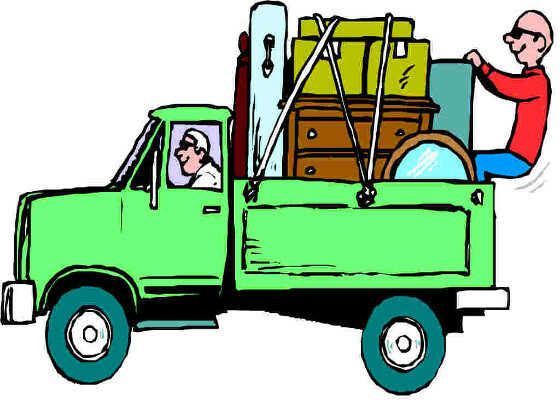 Cairns Coast Removals is the best local and interstate removals company in Cairns.